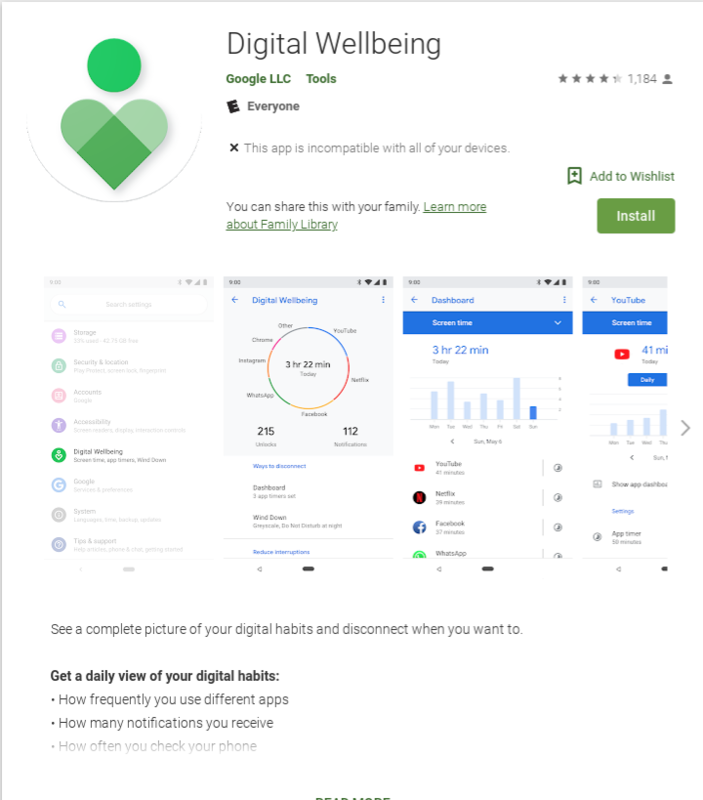 During the Google I/O conference earlier this year, the tech giant announced new tools to help people better manage their screen time. Now, the app for Android is out on the Play Store for Pixel devices and Android One phones with Android 9 Pie. The new resource by Google gives users a clear picture of just how much time they’ve spent on their handhelds. Metrics even include how many unlock actions have occurred and the number of notifications. Of course, like other screen time management tools, users can set limits on app usage. Additionally, there’s a “Wind Down” feature to curtail the number of notifications for pre-selected time periods. It’s part of a new trend in the tech world because smartphone addiction is a real thing. More real than anyone would probably care to admit. And, the digital phenomenon is only getting worse, according to a new study. In fact, the latest survey reveals Americans now spend more time than ever on their smartphones. In fact, it’s up to 14 billion times per day. That averages out to 52 looks per user.